It’s that time of year where the glimpses of sunlight we’ve been teased with see us reminiscing about those summer evenings spent outdoors. While there’s something to be said for cosy evenings inside, nothing quite beats an evening spent out in the open to cast off the day’s stresses. 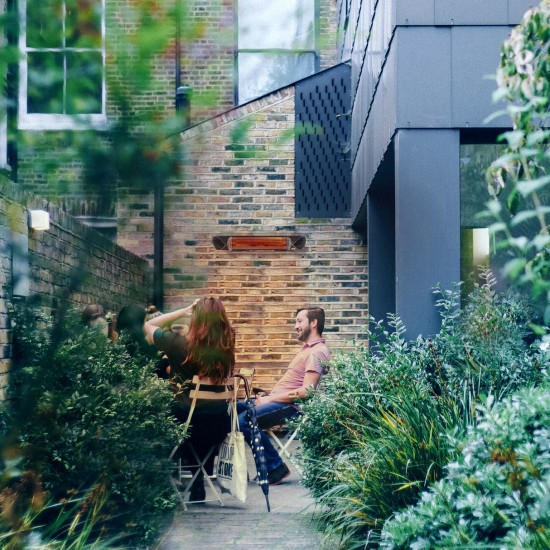 We’ve picked our top 3 electric patio heaters to keep your outdoor spaces nice and toasty, so that you can relax alfresco in spring. When you’re enjoying a relaxing gathering under the night sky, the last thing you want is for it to be cut short by cooler temperatures, forcing everyone to retreat indoors and be confined in one room. Gardens with nowhere to take shelter require on-demand heat that will have everyone nice and snug at the push of a button. The Ecostrad Sunglo is the perfect electric patio heater for instant heat when it’s needed most. Utilising the most powerful form of infrared, shortwave, this heater can warm areas up to 9m² outdoors, which makes it ideal for standard-sized patio spaces. Its two heat outputs and included remote control allow a choice between background heat in the early hours of the evening and a more intense heat as the night ticks on. 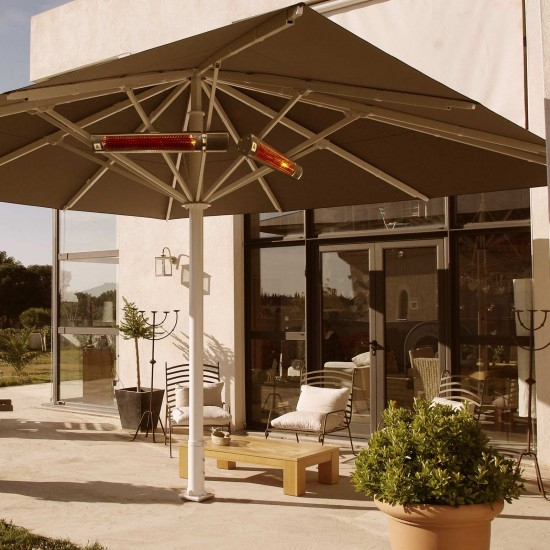 This heater can be affixed to the underside of a parasol or awning quickly and easily, using the Ecostrad Parasol Brackets. This is perfect for seating areas and offers added protection from the elements, to keep you nice and cosy all evening. The Ecostrad Sunglo sports an attractive honeycomb grill and stylish silver casing, which gives it a modernistic feel. This makes it perfect for contemporary gardens and adds a dash of interest to outdoor spaces. Gardens that are more concealed or have covered areas such as verandas are perfectly suited to less intense electric patio heaters. The Ecostrad Thermostrip and the Ecostrad Thermaglo are superb choices for this type of outdoor space. Its gentle, far-reaching infrared heat creates a relaxing ambience and can be altered between 3 heat levels, so you’ll always be comfortable, no matter the time of day. As there’s no light emitted from this heater, you have greater control over creating the perfect atmosphere for you with some carefully selected lighting. It’s worth bearing in mind that as this heater offers the gentlest heat of the three, it’s best placed in an area that’s well-sheltered from the wind. When used with its remote control, a handy timer function can be set between 1 and 9 hours before automatically switching itself off. So, all you have to do is relish in the relaxation – this electric patio heater will take care of the rest. This electric patio heater offers a subtler heat than the Sunglo, with a lessened glare. Its milder nature requires an area with adequate shelter so you can get the most out of its mediumwave infrared. 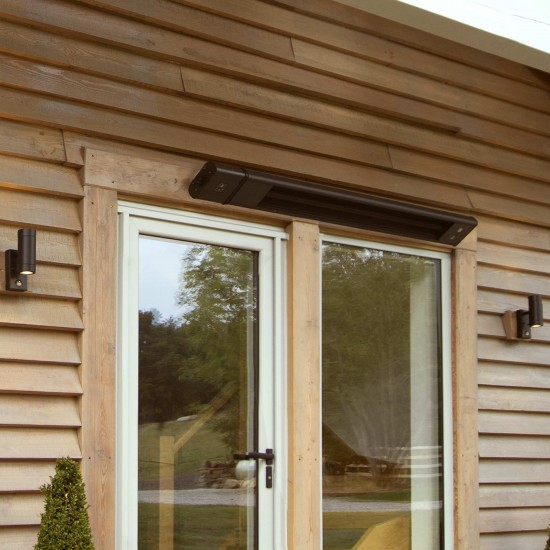 It can be adjusted between 4 incremental heat settings, offering greater controllability to ensure that the temperature of your outdoor space is always just right. The Ecostrad Thermaglo has a sleek teardrop shaped aesthetic, which would be a superb addition to modern outdoor spaces. Our excellent range of electric patio heaters will extend the months that you can enjoy your outdoor space. If you’re still not sure which is best for you, give our infrared experts a call on 0330 880 8383. The Sunglo, Thermaglo and Thermostrip currently have 20% off with code WINTER20, so don’t delay! Can I Refit my Home with Infrared Heaters on a Budget? How Well Do Outdoor Heaters Work?